SSC CGL is Staff selection Combined Graduate Level Examination, SSC CGL is an examination conduct for the various posts in ministries, departments and organizations of the Govt of India. It's conducted by the Staff Selection Commission (SSC) for selecting staff for various Group C and Group B posts. The Staff Selection Commission was established in 1975. 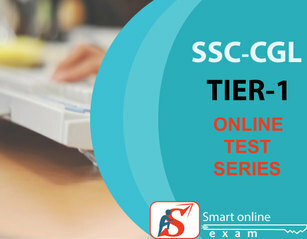 Tier I consist writing objective multiple choice exam. Tier 1 covering subjects general intelligence and reasoning , general awareness, quantitative aptitude, English comprehension. i used this RRB Group D Online Test series for my exam. i having a best user experience so i recommend you this RRB Group D Online Test Series for exam preparation. its offer quality questions according to exam syllabus with reasonable price.